Remember when you were 11 and decided you were going to make a living off of bead jewelry? You had the knack, expertise, and dedication to string those beads into one of a kind bracelets and anklets. How is that going for you? Yeah, me too. Luckily there are some people who did commit to this artistry and we can all benefit. Here are some truly lovely beaded earrings. These beauties are 50% off right now and they will make your white dress pop and then make your navy blazer a bit more playful this fall. I really love the mix of colors in this earring. That blue really stands out. 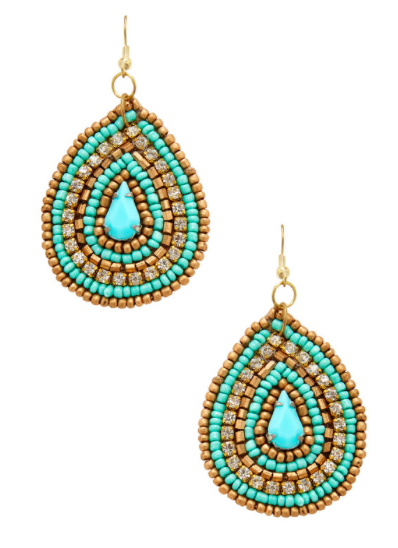 I love Gilt for jewelry. Its a great place to find gifts because the designers are not what you find in your everyday department store. 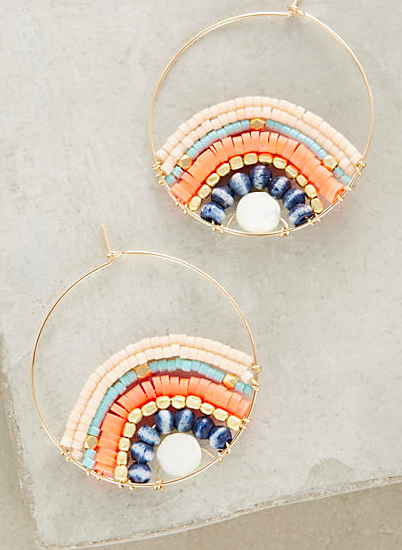 How about these swingy earrings? 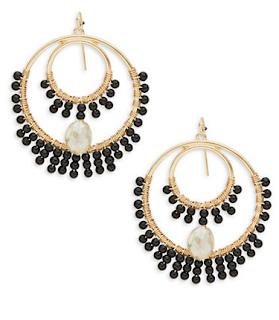 They also come in white/gold. 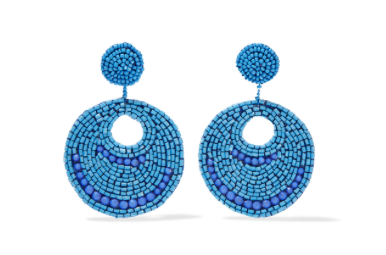 So we didn't make it big with friendship bracelets or bead jewelry, but we can still enjoy the detailed perfection with these beaded earrings.